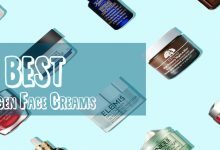 Choosing the best face moisturizer might be daunting at times because the market is filled with varieties of moisturizing products and each of these products comes in different sizes, prices and quality. 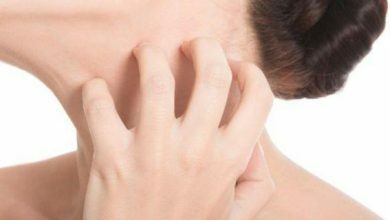 When you choose the wrong face moisturizer, it can lead to complicated skin problems, and that’s why you need to be fully aware of the best products that can help your skincare routine without causing you any harm. Now, do you need to start roaming from one store to another? No! 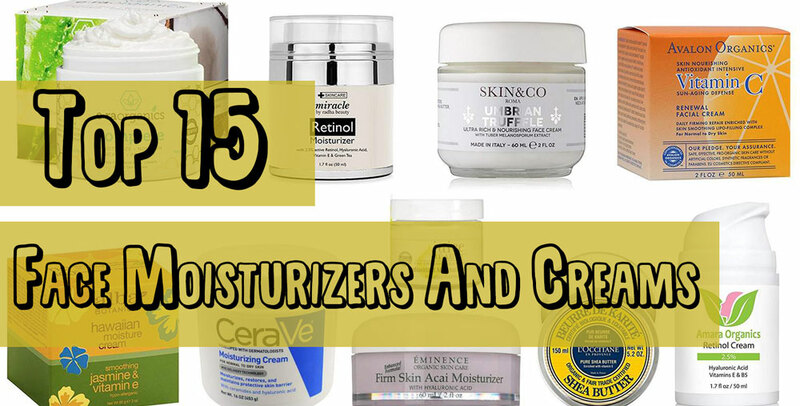 We’ve taken our time to examine the 15 best moisturizers you can start using now. Just read through and select the product that suits you most! 2 Why do you need to moisturize your skin daily? 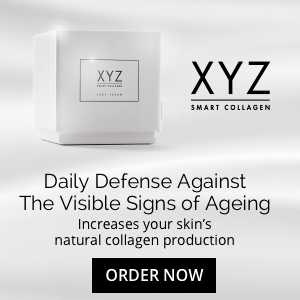 XYZ Smart Collagen is a collagen cream formulated to help maintain your younger-looking skin by improving your skin’s natural collagen production, smoothening wrinkles,and fine lines. This collagen cream is filled with the natural plant extracts, including Bulbine Frustescens, Acetylated Polymannose, and Knipholone. No matter your skin type, XYZ Smart collagen works fine with all skin types – dry, oily, sensitive, and even tattooed skins. Several scientific studies prove that this collagen cream is capable of minimizing any signs of aging and provide visible and outstanding results within three months of usage. It reduces wrinkles and lines appearance around the eyes and face. It contains no minerals, artificial ingredients, palm or palm products. The main ingredient comes from Bulbine Frustescens, Acetylated Polymannose, and Knipholone, a South African Plant. Zeta White is a 100% natural moisturizing cream and skin lightening cream that reduces the production of melanin in your skin. Melanin is the agent responsible for dark spots and uneven skin tone. 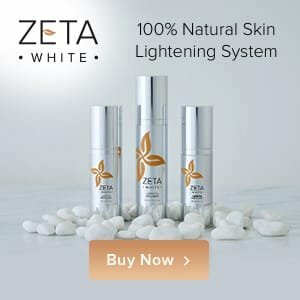 Zeta White also solves skin problems like dark spots caused by acne, damaged skin, dark patches under the eyes and around the neck area, ashy elbows or ankles, dark marks, among others. It also works well with all skin types. It is suitable for all skin types, irrespective of the gender or age. It is safe for normal and long term use. 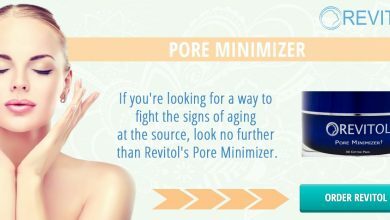 It does not contain any artificial ingredients that might clog the pore on your skin. It can only be ordered through its official website. ​​​​Lemon extract, Papaya, Green tree extract, Passion, Berries, Strawberries extracts, Cranberries extracts, Liquorice, Hyaluronic acid, Olive and coconut oils, Sunflower oils, Vegetable Glycerin, Wheat germ, Stearic acid. Skinception is a moisturizer packed with powerful ingredients to give you a healthy and youthful looking skin. The product helps combat premature skin aging, prevents sun damage, reduces fine lines & Wrinkles, repair collagen & elastin. Skinception is not limited to your face alone, it also offers great benefits to other parts of the body, including your eyes, nails, hair, elbows, knees, and any other area. You can buy Skinception from its official website. Or other online stores like eBay and Amazon. It prevents sun damage and photoaging. Sterols, D-7 Stigmasterol, Triterpene Alcohols, Essential Fatty Acids. 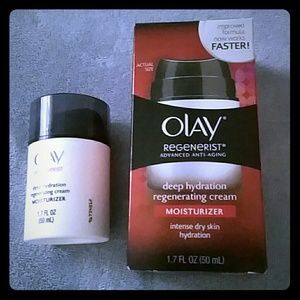 Olay Regenerist Advanced Anti-Aging Deep Hydration Regenerating Cream Moisturizer offers long-lasting moisture and skin-enhancing effect. It penetrates deeply into the skin and softens the appearance of lines and wrinkles instantly. It is packed with ingredients capable of hydrating the skin for a more extended period,and it protects the skin from harmful UVA/UVB rays. To conclude, Olay Regenerist Deep Hydration Cream is a good moisturizer, except the amount of antioxidant it contains, which is somewhat disappointing. Water, Dimethicone, Glycerin, Niacinamide, Dimethicone Crosspolymer, Polymethylsilsesquioxane. Acrylamide/Sodium Acryloyldimethyltaurate Copolymer, Panthenol, Polyethylene, Palmitoyl Pentapeptide-4, Allantoin, DMDM Hydantoin, Pro-Vitamin B5, Camellia Sinensis Leaf Extract, Tocopheryl Acetate, Sodium Peg-7 Olive Oil Carboxylate, Amino-Peptide, Green Tea, Vitamin E, Dimethiconol, Disodium EDTA, Isoparaffin, Fragrance, Vitamin B3. 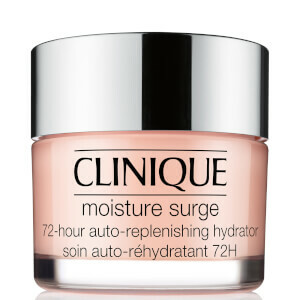 Clinique’s Moisture Surge 72-Hour Auto-Replenishing Hydrator is a refreshing-gel-cream that enhances the skin to create its internal water to hydrate itself continually. It keeps the skin hydrated up to 200% than normal and boosts moisture immediately. The skin will begin to appear plump, dewy, healthy, and glowing for over 72 hours. 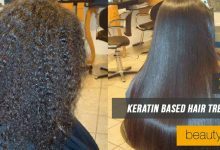 Its texture feels soothing and hydrating. Water, Dimethicone , Glycerin , Trehalose , Sucrose , Ammonium Acryloyldimethyltaurate, Hydroxyethyl Urea , Green Tea Leaf Extract, Betula Alba (Birch) Bark Extract , Aloe Barbadensis Leaf Water, Caffeine , Sorbitol , Palmitoyl Hexapeptide-12 , Sodium Hyaluronate , Caprylyl Glycol , Sodium Polyaspartate , Hexylene Glycol , Magnesium Ascorbyl Phosphate , Red 4 (Ci 14700), Yellow 5 (Ci 19140), etc. Nivea Soft Light Moisturizer is a light moisturizing cream. It has been tested by dermatologists and so it’s pretty much logical that it suits all skin types. It is rich in Vitamin E and jojoba oil, which penetrates the skin and makes it look fresh, soft, radiant, healthy and youthful looking. Furthermore, Nivea Soft Cream is fast-absorbing and can be used by anyone, whether you have dry skin, oily skin, or even sensitive skin. You can apply it on your face, body,and hands. It also provides anti-aging benefits. 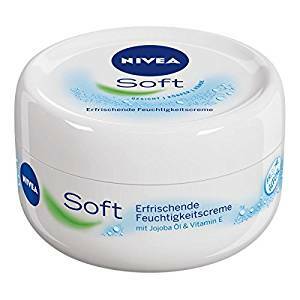 Nivea Soft Cream can be purchased across cosmetic stores and online stores. Contains lots of chemicals and parabens. 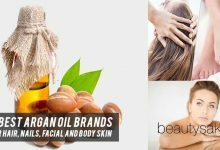 Water, Glycerin, Myristyl Alcohol, Mineral Oil, Alcohol Denat, Stearic Acid, Simmondsia Chinensis (Jojoba) Seed Oil, Polyglyceryl-2 Caprate, Fragrance, Carbomer, Sodium Hydroxide, Phenoxyethanol, etc. 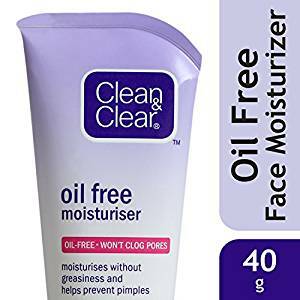 Clean And Clear’s Skin Balancing Moisturizer is an oil-free formula that moisturizes your skin without greasiness. It does not clog pores and contains salicylic acid for preventing pimples, blackheads,and blemishes on the skin. It also helps in combating acne prone skin and can be used by all skin types. It is unisex in nature. It does not provide sun protection. Water, Propylene Glycol, Cetyl Alcohol, Stearic Acid, Salicylic Acid, Dimethicone, Carbomer, Acrylates C10 – C30 Alkyl Acrylate Cross polymer, Disodium EDTA, Fragrance, Methylchloroisothiazolinone, Methylisothiazolinone,etc. 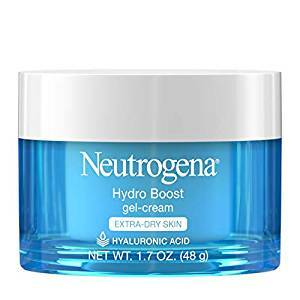 Neutrogena Hydro Boost Gel Cream is a water gel-cream formula that absorbs quickly and delivers long-lasting hydration to quench your extra-dry skin’s thirst. It contains essential skincare ingredients like hyaluronic acid and Glycerin. The rich gel is fragrance, dye and oil-free, and can be worn alone or under makeup. Water, Dimethicone, Glycerin, Cetearyl Olivate, Polyacrylamide, Sorbitan Olivate, Synthetic Beeswax, Dimethiconol, Dimethicone Crosspolymer, Chlorphenesin, Carbomer, Sodium Hyaluronate, Ethylhexylglycerin, Sodium Hydroxide, etc. 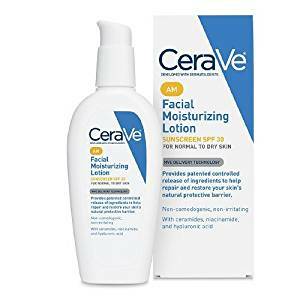 CeraVe’s Ultra-Light Moisturizing Lotion with Sunscreen SPF 30 is a fragrance-free sunscreen and is ideal for lightweight daytime moisturizer. It helps protect your skin against harmful UVA and UVB rays. It can be used alone or under makeup. While producing its moisturizing effect, it does not feel heavy on the skin and also makes the skin appear radiant, soft, and youthful. It feels soothing and hydrating. It contains replenishing ingredients such as ceramides and cholesterol. It helps protect your skin against harmful UVA and UVB rays. It helps the skin retain its natural moisture. Avobenzone, Homosalate, Octisalate, OctocryleneInactive, Water, Alkyl Benzoate, Glyceryl Stearate SE, Methyl Methacrylate Crosspolymer, Glycerin, Pentylen Glycol, Phytosphingosine, Sodium Acryloyldimethyltaurate/VP Crosspolymer, Cholesterol, Disodium EDTA, Citric Acid, Sodium Hyaluronate, etc. 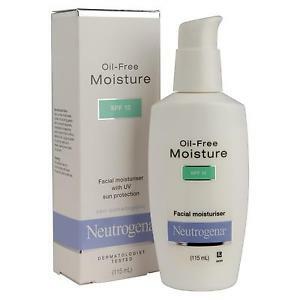 Neutrogena’s Oil-Free Moisturizer with SPF 15 provides sun protection alongside long-lasting moisturizing effect, giving your skin a smoother, radiant, soft, and youthful look. This moisturizer has been allergy tested and is free from dyes, alcohol, fragrances, or other ingredients which may cause allergies or irritation. It is lightweight and spreads well and is quickly absorbed by the skin. It does not work well in warmer temperatures. Avobenzone, Octisalate, Octocrylene, Oxybenzone, Water, Octyldodecyl neopentanoate, Glycerin, Glyceryl Stearate, Caprylyl Glycol, Carbomer, Triethanolamine, Methylparaben, Ethylene brassylate, Dimethyl heptanal. 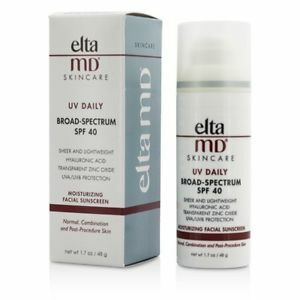 EltaMD UV Daily Broad Spectrum SPF 40 protects your skin against UVA rays that cause aging and UVB rays that burn the skin. The lightweight formula absorbs quickly, meaning you can use it alone or under makeup. With regular usage, you will be able to reduce fine lines and lines on your skin,and you will get the youthful looking you’ve been craving for. This moisturizer also contains hyaluronic acid, that keeps the skin hydrated all day long. The skincare formula is free from paraben, fragrance, and it is non-comedogenic. Zinc Oxide, Octinoxate, Hyaluronic Acid, Purified Water, Petrolatum, Isopropyl Palmitate, Cetearyl Glucoside, Dimethicone, Sodium Hyaluronate, Citric Acid, Butylene Glycol, Triethoxycaprylylsilane, etc. 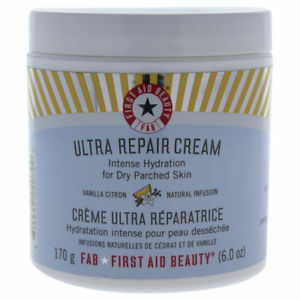 First Aid Beauty Ultra Repair Cream Intense Hydration is a unique formula that provides instant, effective, and long-term hydration for dry skin, distressed, and even eczema. This cream is allergy-tested, cruelty-free, safe for sensitive skin and free of artificial fragrances and coloring. Colloidal Oatmeal, Water, Stearic Acid, Glycerin, Shea Butter, White Tea Leaf Extract, etc. 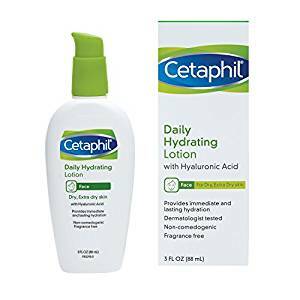 Cetaphil Daily Hydrating Lotion is a lightweight, oil-free moisturizing formula that provides quick and excellent hydration. It can be used alone or under makeup. It is dermatology-tested and clinically proven to hydrate the body without clogging pores or irritating sensitive skin. Water, Glycerin, Hydrolyzed Hyaluronic Acid, Sodium Hydroxide, Homarine HCI, Sodium PCA, Cetyl Alcohol, Caprylyl Glycol, Phenoxyethanol no I, Erythritol, etc. 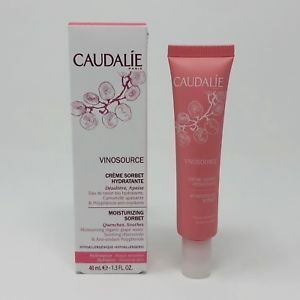 Caudalie Vinosource Moisturizing Sorbet is a light-weight moisturizing gel-cream. It is oil-free and made with hydrating seed oil and powerful antioxidants. The skincare formula has immediate soothing properties and rejuvenates the skin. It is ideal for any skin type experiencing sensitivity; this gel-cream formula leaves the skin bright, smooth, soft, and radiant. It is clinically proven to keep the skin more hydrated, less sensitive, and healthy. It can cause break out. You need to use a good amount of product to get the full effect. Organic Grape Water, Grape Seed Polyphenols, Vinolevure, Chamomile, Glycerin, Shea Butter Extract, Hexyldecanol, Hexyldecyl Laurate, Behenyl Alcohol, Parfum (Fragrance), Palmitoyl Grape Seed Extract, Sodium Hydroxide, Glycine Soja (Soybean) Sterols, Citric Acid, Sodium Carboxymethyl Betaglucan, Sodium Hyaluronate, etc. Garnier SkinActive Gel Face Moisturizer with Hyaluronic Acid is a lightweight face cream packed with powerful ingredients such as hyaluronic acid (for moisture) and goji berries (antioxidants). It delivers an instant, healthy, and long-lasting hydration. Why do you need to moisturize your skin daily? It contains ingredients that will improve your skin health such as Vitamin A and Vitamin B5 for increasing the skin’s firmness, Vitamins C and E for protecting new skin and fighting skin damage, and SPF for preventing premature lines and wrinkles. What are the benefits of moisturizing your face every day? Your complexion will appear radiant and healthy. It makes your skin feel great. A lot of people believe that all moisturizers are the same, well that’s entirely wrong! They are of different feel, price, smell, and skin benefits. 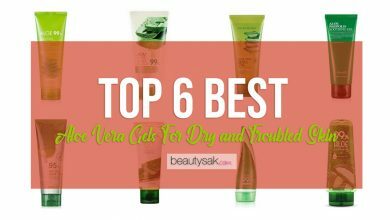 So, how do you choose the best moisturizer? These tips will guide you! How much are you willing to pay for the moisturizer? Moisturizers are sold at different prices; while some are sold for hundreds of dollars, yet there are cheaper ones that work great. It is wise always to select a product that is within your budget range. Not all products are suitable for all skin types. Therefore, you need to identify your skin type and select a cream accordingly. If you buy a product at random without considering your skin type, it poses a great threat to your skin and overall health. If you have oily or acne-prone skin, go for a non-comedogenic facial moisturizer that won’t clog pores. For dry skin, look for moisturizers that contain hydration-boosting ingredients such as hyaluronic acid and dimethicone. For sensitive skin, choose a hypoallergenic and fragrance-free moisturizer. For eczema, go for a thick moisturizing ointment that contains petrolatum, or better yet, use petroleum jelly to help sooth cracks and keep skin supple. To combat skin damage from the sun’s UV rays, you need to put on sunscreen regularly, so before choosing a moisturizer, make sure it has SPF 15 or higher and follow the application procedure. You are going to apply the cream and keep it on for a certain amount of time. If the cream smells unpleasant, you just cannot go around your daily proceedings as the smell of the skin would get intolerable to the extent where you would regret using the cream, no matter how effective of a moisturizer it is. Therefore, it is of utmost importance for you to pick a cream whose smell you like or have no issue with. Water is probably the most important and critical entity in the entire planet. It is of no exception that the human skin needs its own share of water and the process of skin hydration is achieved by using these magnificent moisturizing creams. From our research, it is pretty evident that the presence of hyaluronic acid makes a moisturizing cream a more effective one. Hyaluronic acid is naturally found in the skin and is unfortunately lost over time. So it is very important that we adopt creams to replace a good amount of hyaluronic acid into the skin that not only keeps the skin hydrated but also avoids it from remaining greasy. Plus, it goes without saying that it should be suitable for many skin types. 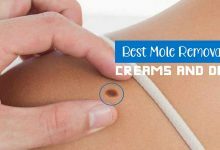 Hence, any cream with an appreciable quantity of hyaluronic acid seals the deal for being the best skin moisturizing creams. 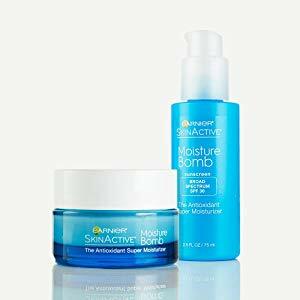 The Neutrogena Hydro Boost Hyaluronic Acid Hydrating Face Moisturizer contains ample amounts of hyaluronic acid and is suitable for all skin types. It is highly rated by its users and we are no exception to this premise. We strongly deem this particular product as the best. 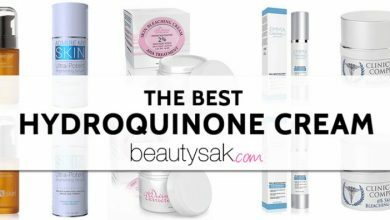 Trust us, your skin needs and deserves this cream bug time!